Like many people, I did my time counting calories. Then, for all these reasons, I stopped and never looked back. Years went by without me counting anything. 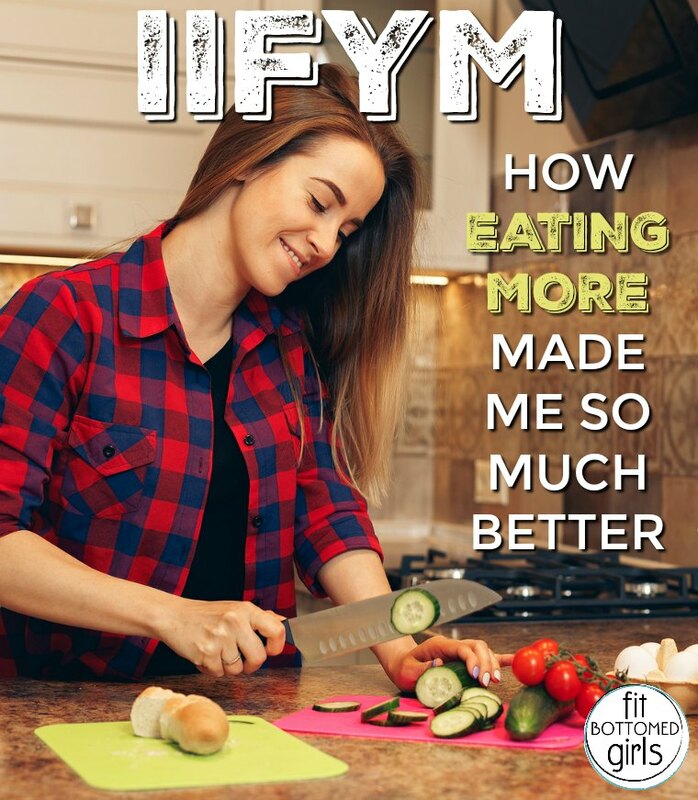 I ate intuitively and in moderation, in a way that seemed to support the pace of my life and all the running and WODs I do week in and week out. At one point though earlier this year, I found myself fairly regularly running out of gas mid-day, my running felt sluggish, and my lifts were not progressing as I’d hoped. I couldn’t help but wonder if there was more I could be doing to eat in a way that gave me more energy and to better fuel my performance in the gym. So, I sought out a sports performance nutrition coach who put me on a macro plan. At first, I worried that all that counting would bring out the calorie-counting monster in me again. But it had a completely different (and totally awesome) effect. In short, it was eye-opening. I’d like to preface this post by clarifying that I’m not trying to lose weight. In fact, I’d be happy to gain more weight if it meant my muscle mass increased — swole is the goal for me. I’m looking to increase my energy and crush my workouts in the most epic way possible. So let’s first talk about what it means to track macros. I’ve been following an If-It-Fits-Your-Macros (IIFYM) plan, which means that I can technically eat whatever I want on any given day as long as at the end of the day I’ve stayed with certain prescribed ranges for my macronutrients. There is some math but no calorie-counting — just counting grams of carbs, fat, and protein. Also — and this is the best part — no deprivation. The program my sports nutrition coaches put me on gradually, over a period of months, took me from an average of 1,800 to 1,900 calories per day (which was what I intuitively ate) to an average of 2,500 – 2,900 calories per day … crazy, right? The old calorie-counting Alison would have had a mini freak-out seeing those numbers. As we cycled through different training phases, my weight fluctuated a little. But now, I weigh pretty much the same as I did at the start; however, my lean muscle mass has improved significantly. I also set a new lifting PR at least once every other week, and my mile paces have gotten faster and much easier to maintain. In short, I feel strong AF. I don’t eat enough carbs. Here’s where the mid-afternoon energy slump came in. A (non-sports) nutritionist (who I haven’t seen in years as a result) once told me I should stick to 120 grams of carbs per day … now I eat between 230 and 400 grams per day and I feel so much better than I ever did. Energy all day long to power through my day. I don’t eat enough protein. And it wasn’t for lack of trying. I seriously thought I was getting plenty of protein but I wasn’t even close. Most days, I used to top out around 90 grams per day. Now I eat, 125 to 140 grams per day and my strength has skyrocketed to match. I eat too much fat. In fairness to me, it was pretty much all good fat. I don’t eat fried foods and stuff. No, my fat numbers came from making a habit of biting into a peeled avocado like it’s an apple. Too much of a good thing can also create imbalance it turns out. I eat way too much sodium. Again, another huge shocker since I don’t eat many processed or pre-packaged foods. Once I started to pay attention to sodium levels in food, it was shocking to see what and how much is in like everything. Through careful planning and a few minor tweaks, I now have my daily sodium numbers under 2,500 and my body is retaining far less water. All in all, it definitely helped me to see how my food choices were affecting me. I’m way more more skillful and strategic about my choices in order to maximize my strength gains, running performance, and overall energy levels to get through the day. It’s pretty much been the opposite of a diet. Food is fuel and I’m now making way better choices about how I fuel my body. I eat to support my goals — the ultimate form of self-care. Nice post i am a big fond of to eat good and healthy food i really enjoyed this post very interesting and informative thanks for share. Nice post health is the most important part of life nothing is more valuable than good health very interesting post i really like it thanks for share. Hi! I am always a fan of eating healthy and I really like your blog. Thanks for sharing this! I found a very nice product that might help others too to lose weight! I lose 50pounds with only this! Eating right is truly important when working out. I got great help from this diet, if you can call it that. However, I dont think one should follow a special 100 % but this diet really made reaching my goals faster!